In a small saucepan, bring quinoa and water to a boil. Reduce heat to low, cover, and cook for 15 minutes. Remove from heat, keep covered, and let sit for 5 minutes. In a large frying pan, melt butter over medium high heat. Add garlic and let cook until garlic is lightly browned. Add shrimp, season with salt and pepper, and cook for about 2 minutes on each side. Tear kale into bite sized pieces and add to shrimp. 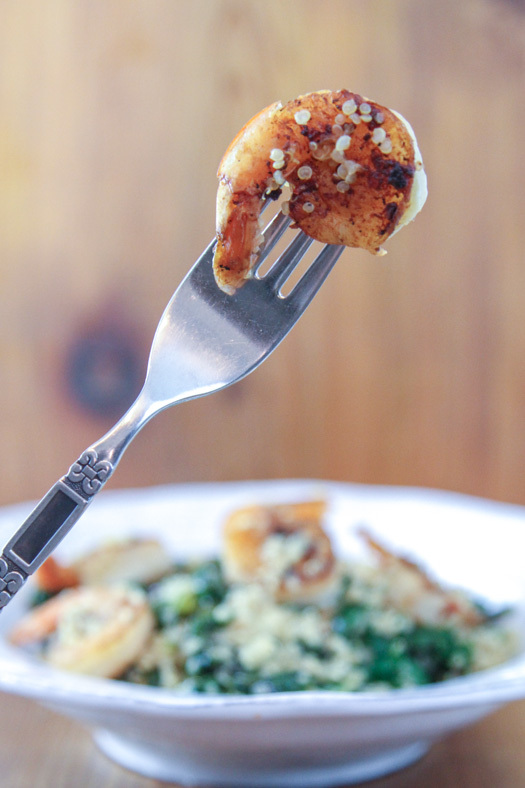 Stir kale, shrimp, and butter together until kale begins to wilt. Stir for 2 to 3 minutes until kale is completely wilted. Season with salt and crushed red pepper. Mix in cooked quinoa and serve. How much butter in this recipe? Where do the water chestnuts come in? 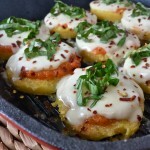 Do you have the Nutritional values of this dish? How many servings is this recipe? Hi Leah, for some reason my recipe plugin was buggy when I typed this recipe and changed things like “water” to “water chestnuts”. So embarrassing! I fixed this a while ago and the correct recipe is on the blog. Please let me know if it’s not coming up for you. I do not have calorie info.. Very nice . Doubled the recipe but used 4 big garlic cloves. Kale from my garden. This will be cooked often in our house! 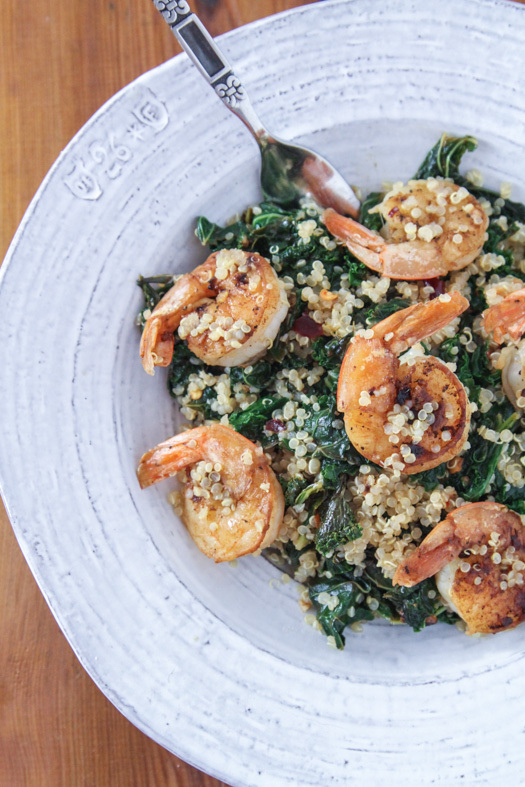 There are three of my favourite foods in your recipe, kale shrimp and quinoa! Can’t wait to try it! Same here! Hope you enjoy!